Lanvin has launched Me L'Absolu, a new flanker to 2013's Lanvin Me and a followup to this year's Lanvin Me L'Eau. Me L'Absolu is a floral fragrance and is intended as a more intense version of the original Me. The notes include violet leaves, mandarin, osmanthus, jasmine, peony, peach, patchouli and musk. 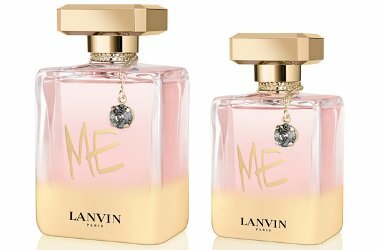 Lanvin Me L'Absolu is available in 50 and 80 ml Eau de Parfum. The bottle looks teeny-bopperish and with the name, it seems to have been created for a self-centered child. Ha! I liked the original Me, but haven’t tried Me L’Eau and this sounds more related to that one — they don’t mention licorice, for instance.